Ad exec Madonna Badger's new video We are #WomenNotObjects, which asks marketers to stop eroticizing females, is hot, The Wall Street Journal reports. Ms. Badger's beef is only one among many voiced by women in advertising, including the 21,000 sister mad women who comprise the 3% Conference. 3% Conference founder Kat Gordon told Forbes the issues surround "lack of." "Lack of support for motherhood, lack of mentorship, lack of awareness that femaleness is an asset to connecting to the consumer marketplace today, lack of celebration of female work due to gender bias of award juries, lack of women negotiating their first agency salary and every one thereafter," Badger said. 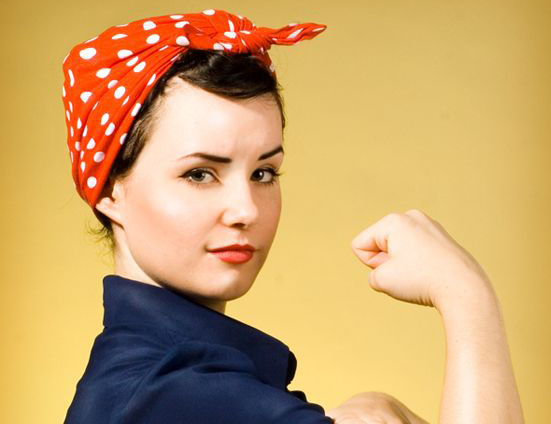 Female event marketers are also flexing their muscles. AWE, the Association for Women in Events, has opened its doors in Washington, DC, according to TSNN.